1. Nordstrom: I browse their sale almost weekly to see what's new over there. This week I found these beautiful white jeans-- perfect for summer! 3. 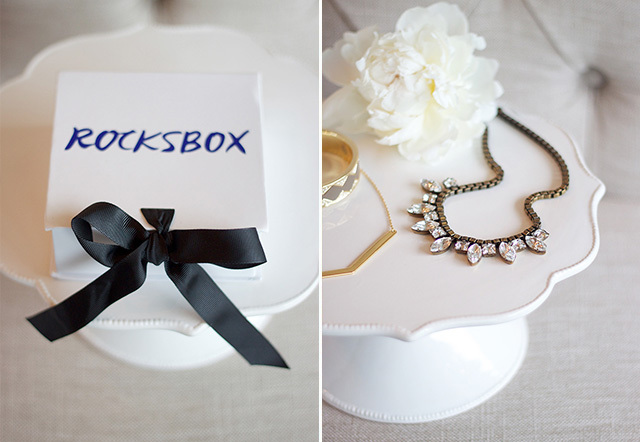 Rocksbox is my favorite subscription box-- they send you 3 pieces of jewelry as often as you want for you to borrow and wear on loan, until you return them and are ready for more. If you love something so much you want to keep it, you can purchase it for a discounted member rate! They are offering my readers your FIRST MONTH FREE (and if you don't like it, you don't have to renew after the first month-- but I promise you'll be in love!) Just use the code michaelanoelledesignsxoxo at checkout for your free trial! Sign up here. Hope you have a wonderful Friday and weekend! Mine will be spent cleaning out my apartment, getting ready to pack it all up to move in the coming weeks! I so need a good pair of white jeans for summer! I need to get on top of that!